NEWPORT, Ky. — Newport Aquarium is offering discounted admission to members of all religious organizations during Faith Weekend, March 7-8. Faith Weekend tickets are $12 per person, a near 50-percent discount off general admission compared to the standard admission price. Tickets, which must be ordered by March 4, are available for purchase at NewportAquarium.com, by calling 859-815-1423 or submitting the registration form. 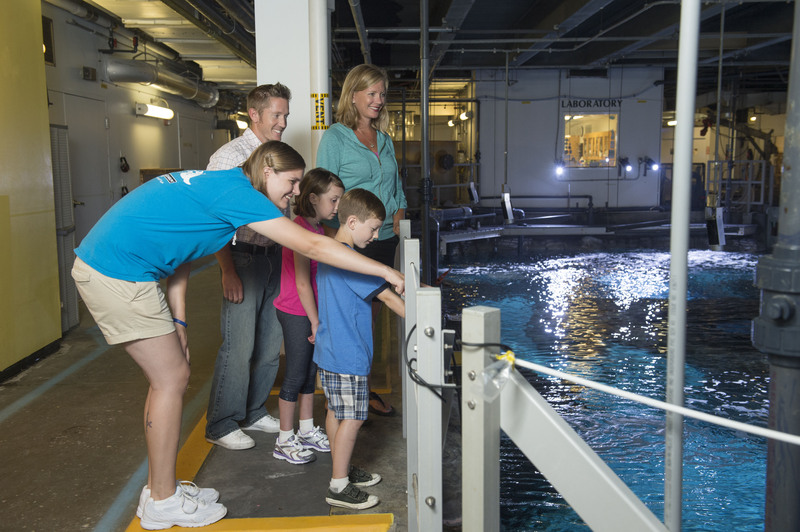 In addition to discounted general admission, Newport Aquarium is also offering a Faith Weekend price break on the Backstage Animal Experience, a 45-minute behind-the-scenes tour that includes an encounter with one of the aquarium’s community outreach animals. Pre-registration is required for the Backstage Animal Experience, which is available for just $12 per person, a 20-percent discount off the standard price. The Backstage Animal Experience at Newport Aquarium offers guest a behind-the-scenes look of the aquarium. Surrounded by Sharks – Guests can venture through an 85-foot-long acrylic tunnel inside a 385,000-gallon tank filled with six species of shark, four rare and exotic shark rays and Denver, a mischievous 200-pound loggerhead sea turtle. Gator Alley – Gator Alley has one of the most diverse collections of crocodilian species in the country, showcasing six species from four continents. Gator Alley is the home of Mighty Mike – the biggest and baddest alligator in the country outside of Florida at 14 feet and 800 pounds – as well as Snowball and Snowflake, two of less than 100 white alligators in the world. 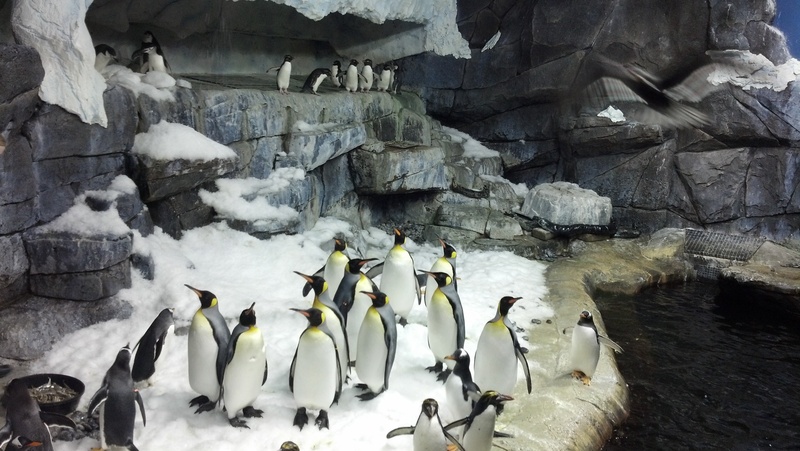 Kroger Penguin Palooza – With five different sub-Antarctic penguin species totaling 50 birds, Kroger Penguin Palooza boasts one of the most diverse collections of cold-weather penguins in the country. Frog Bog – Frog Bog is the largest exhibit of its kind in the Midwest with nearly 20 species of exotic frogs. Children can find secret frog tanks visible only when they climb through tunnels and tubes in the kids-only Frog Bog jungle gym. Jellyfish Gallery – With more than 100 on display, guests will marvel at the largest and coolest jellyfish exhibit in the Midwest. This entry was posted in Uncategorized and tagged discounts, Faith Weekend, newport aquarium, religion by NewportAquarium. Bookmark the permalink. “All persons shall be entitled to the full and equal enjoyment of the goods, services, facilities, privileges, advantages, and accommodations of any place of public accommodation . . . without discrimination on the ground of race, color, religion, or national origin.” 42 U.S.C. §2000a(a). This promotion is in violation of federal law.